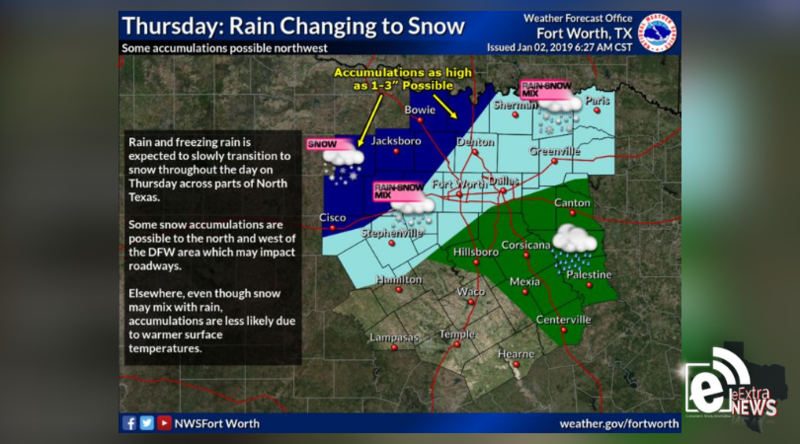 Rain or freezing rain may transition to a rain/snow mix across parts of North Texas on Thursday. Some accumulations as high as 1-3 inches are possible across far northwestern Texas. While snow may mix with rain farther southeast, warmer surface temperatures will limit the chance for accumulating snow.